I couldn’t stick to just pairs of books because I read more fiction than nonfiction, so my pairings are trios. The first three I’ve chosen are about Richard III – what is the truth about him, was he deformed, with a withered arm, a hunch back and a limp as Shakespeare portrayed him, was he a cold-blooded, evil villain? Or has he been maligned and been turned into a monster who killed his brother’s sons in order to take the Crown? 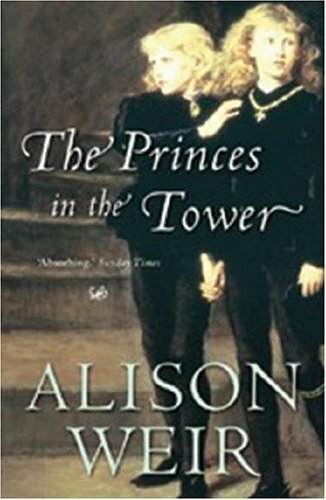 Many years ago I read The Princes in the Tower by Alison Weir, which examined the available evidence of the disappearance of the princes in 1483 at the time her book was first published in 1992. It has an extensive bibliography, her sources mainly supporting the view that Richard was guilty of their deaths. Alison Weir has since revised this book and published it as Richard III and the Princes in the Tower, published in 2014. I haven’t read this revised edition, but looking at Alison Weir’s website I see that she still holds the same views on Richard’s guilt. 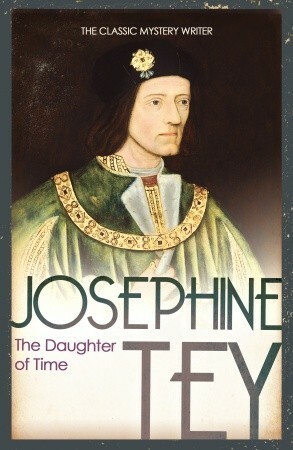 Years later I came across The Daughter of Time by Josephine Tey, a novel in which Inspector Alan Grant of Scotland Yard, recuperating from a broken leg, becomes fascinated with a contemporary portrait of Richard III and investigates Richard’s role in the death of his nephews and his own death at the Battle of Bosworth. He concluded that Richard hadn’t murdered his nephews. 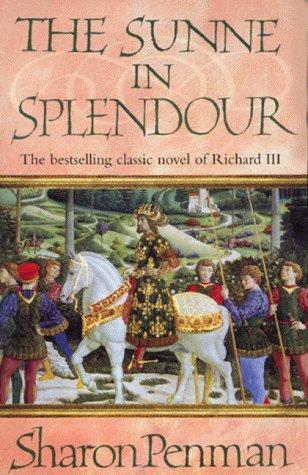 And two years ago I read The Sunne in Splendour by Sharon Penman, probably the best historical novel that I’ve read. Penman portrays a very likeable Richard. From his childhood onwards he comes across as a kind, generous and brave man, a skilled leader on the battlefield, a loving husband to his wife, Anne, and devoted and loyal to his brother, Edward IV. I’m not going to reveal her solution to who killed the princes, but I was convinced by her version of events. The discovery of Richard’s skeleton buried beneath a car park in Leicester in 2012 revealed that although ‘the curved spine on the skeleton does show he had Scoliosis, he did not have a withered arm or other details attributed to him in some characterisations’ (see the Incredible Discovery at the King Richard III Visitor Centre). There are many books about Richard III, especially following the discovery of his remains, and in time I hope to explore more of them. The next three books are about Thomas Cromwell, Earl of Essex, Baron Cromwell of Okeham. He was born c.1485, Putney, near London and was executed on July 28, 1540. 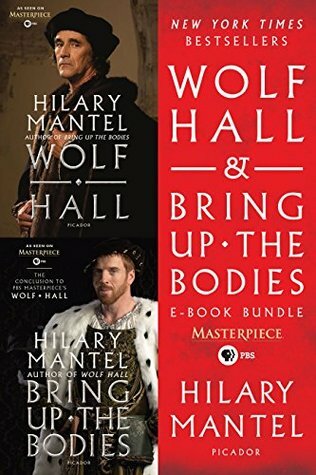 Tracy Borman’s biography of Thomas Cromwell and Hilary Mantel’s novels, Wolf Hall/Bring Up the Bodies all cover the life of Cromwell, the son of a blacksmith, who rose to become Henry VIII’s Chief Minister and was executed for heresy and treason. Hilary Mantel’s books bring the Tudor world to life for me. They are beautifully written, full of colour and detail so that there is no doubt that this is 16th century England, with vivid descriptions of the people, buildings, fabrics, and landscapes of both town and countryside. Her Thomas Cromwell is not the saint I thought he was from watching ‘A Man for All Seasons’, and neither is he the hard-hearted, cold and stern character I’d read about before, but he is humane, kind and considerate, hardworking, generous and cultured. But tough and ruthless too. I haven’t read Tracy Borman’s biography yet, so I have yet to see how it compares to the novels (and the TV adaptation), which I loved. My third trio of books are about Robert Scott’s 1912 Antarctic expedition, comparing Beryl Bainbridge’s novel with two nonfiction books. 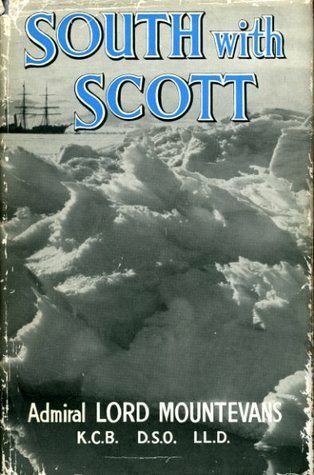 Ever since I bought South with Scott by Edward Evans, Lord Mountevans when I was at school I’ve been fascinated by the race to reach the South Pole. Evans was the Second-in-Command of the British Antarctic Expedition under Captain Scott. He nearly lost his life on the return journey from the Pole, falling ill with scurvy and was rescued. 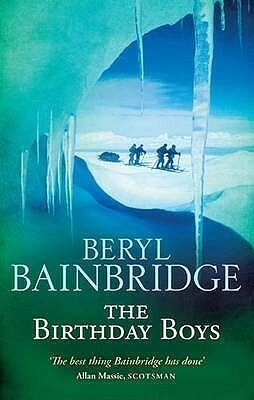 Years later I was delighted to find that Beryl Bainbridge’s novel, The Birthday Boys is about the expedition. It’s narrated by Captain Robert Falcon Scott and the other four men who died in the Antarctic having reached the South Pole. It gets inside each man’s mind, vividly describing the events as they progressed to the South Pole and the terrible conditions they had to endure. 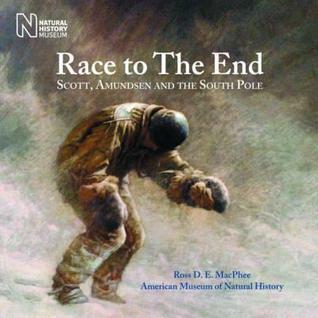 I enjoyed it so much I wanted to find out more – which I did in Race to the End: Scott, Amundsen and the South Pole by Ross D E MacPhee, a beautifully illustrated account of each team’s trek to Antarctica and the Pole. Comparing the books I think Beryl Bainbridge’s fictionalised version is remarkable accurate, bringing the terrible hardships vividly to life. I’ve enjoyed comparing these books – what books would you choose to compare? What an interesting idea, Margaret! Comparing fiction and non-fiction can be absolutely fascinating. I agree with you about Hilary Mantel, by the way. I’d really love to see the third of her trilogy published, but I’m not sure now if/when that will happen. Margot, as far as I know Hilary Mantel’s final book in her trilogy, to be called The Mirror and the Light, may not be finished until next year – let’s hope it’s not delayed until 2020! I’m too much of a mood reader to do challenges or read-a-longs, but I think the books you’ve chosen look like fun. Joan, I don’t take part in read-a-longs and try to keep challenges down to a minimum – they take up too much of my blogging time, but I’m enjoying this nonfiction themed month. What a set of interesting comparisons. I read some books about Richard III and the Princes in the Tower when his remains were found. I even went to Leicester to visit the museum and see the tomb, which is very beautiful. I read the book about Richard III and the princes by A.J. Pollard, which I found very interesting, plus a few other books on the find. I loved Josephin Tey’s book. 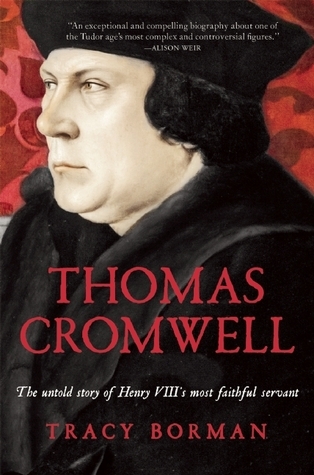 After reading Hilary Mantel’s two books about the Tudors/Cromwell, I was impressed by Cromwell. One has to consider his other sides as well, but I felt like reading a biography. This might be the one. I am also fascinated by the race to the poles. Love Beryl Bainbridge, so I can see myself reading this and maybe some of your tips in the future. Very interesting and good choices you found. Lisbeth, I would like to visit the museum in Leicester etc. I haven’t read A J Pollard’s book – so thanks for mentioning it. What a great post. I have read the Josephine Tey and Sharon Penman books, as well as the two by Hilary Mantel, but all three of your third trio of books are new to me. I would like to read The Birthday Boys. Thanks, Helen! I think you’d like The Birthday Boys and would love to know what you think of it if you do read it. Great post! I am obsessed with Richard III and have read all of the books listed above. I agree with you about Penman’s conclusion as to who murdered them being convincing. The Sunne in Splendour is one of my all-time favourite books. You might be interested in the book The Trial of Richard The Third by Richard Drewitt. I think it is out of print now but you might find a used copy. It’s a really interesting non-fiction book about a mock trial that was held at the Old Bailey in London and filmed for UK TV at which Richard was tried for the murder of his nephews under proper UK trial law with historical evidence presented and argued by both sides. I won’t tell you the verdict they reached, but it is fascinating. Thank you – and welcome to my blog! I’ll look out for Drewitt’s book – I hadn’t heard of it so thanks for mentioning it. it sounds fascinating. What an excellent post. Thoroughly enjoyed all of your connections. I absolutely loved Josephine Tey’s The Daughter of Time so perhaps I’ll investigate the two connected non-fictions you mention. As to what books I would choose to compare… I was flummoxed at first but when I looked at what I’ve read this year two books jumped out: The French Riviera by Ted Jones and Death on the Riviera by John Bude. Both deal with what the rich and famous got up to on the French Riviera, one non-fiction, the other a murder mystery. And I read them at the same time so it made for a fascinating reading experience. I love this way of reading along a theme—I joke that I did a short course on Louisa May Alcott a couple of years ago, having read Little Women, Eden’s Outcasts, Marmee & Louisa, and March within a realitively short period of time. I am definitely a Yorkist, and loved Sunne in Splendour and Daughter of Time—Princes in the Tower would be a nice way to round out those fictional forays. Same with Cromwell—everything I know about him, I’ve learned from Hilary Mantel. Ever since seeing the TV doco on the finding of Richard III I’ve been wanting to read more about him – so thanks for the tips. Despite my love for the Hilary Mantel Tudor books (when will she finish the third and final book????) I hadn’t thought to read more about Cromwell as I like her portrayal so much. Great pairings! I like finding a biography and a fiction book about the same person, it’s interesting to compare them.